In this lead guitar lesson, we'll be learning how to play a solo on the guitar. A lot of guitarists think that playing a solo is such a long way away, and it can seem like an impossible mountain to climb. In this lesson, we'll be going over just a few basic techniques and learning a simple solo so you can start playing along to music right away. 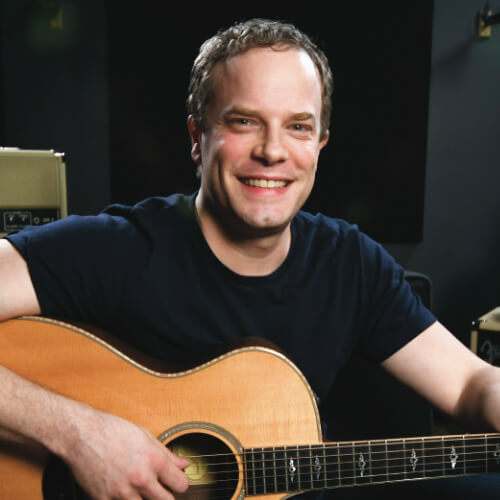 It doesn't matter if you have an electric guitar or an acoustic guitar, all the points covered in this lesson will apply to you. We'll be moving pretty quickly through this lesson, so if you need some more step-by-step lessons on all of the topics covered here, as well as many more, you'll want to sign up for the FREE Ultimate Guitar Toolbox. Before we get into learning the solo, we need to cover a few essential techniques. The first of these is picking technique. Start off by grabbing your pick between your thumb and your index finger. There are a few different positions you can use, so make adjustments and find what is most comfortable for you. Make sure you relax your hand. Gripping the pick too hard can result in injury, and also make it harder to pick multiple notes smoothly. Lastly, you'll want to focus on making small motions when you pick. The smaller the motion, the less distance the pick will have to travel to get to the next note. Also, smaller motions are easier to do for an extended period of time, so it's a good habit to get into early. The other important technique to cover is fretting technique. Start by holding your hand up as if you were holding a baseball. Take the shape your hand is making and grab the neck of your guitar. Place your thumb on the back of the neck and bring your fingers down onto the fretboard. Again, stay relaxed and don't grip anything too tightly. You'll want to make sure when you come down on the frets that you are right behind them and pushing just hard enough so that the notes come through clearly. Now that we've got the techniques down, we'll jump into learning this solo. For this solo, we'll be using the blues scale. If you don't already know the blues scale that's perfectly okay. You don't need to learn it to play the solo here. The first thing we'll do is pull up the jam track and practice counting along to it. Get used to where the beat is and how to find the rhythm. Since we're only using half notes and whole notes in this lesson you'll only need to be able to count 1, 2, 3, 4 along to the track. The chord progression that we'll be playing over is just a standard 12 bar blues progression. You don't need to worry too much about what those chords exactly are at this point. The focus of this section will just be imitating what's played in the video and following along with the tab. 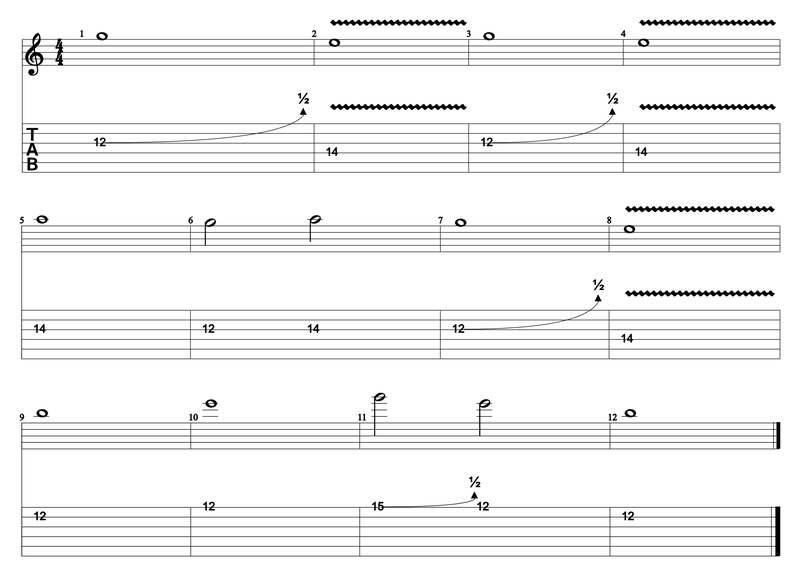 If you've never learned to read tab, you'll want to check out this guitar lesson: How To Read Guitar Tabs. Spend some time working on being able to play this solo without the jam track to start. Once you feel like you've got the hang of it, you can play it along with the jam track. Be sure to listen to the example in the video as well so you know it sounds right.